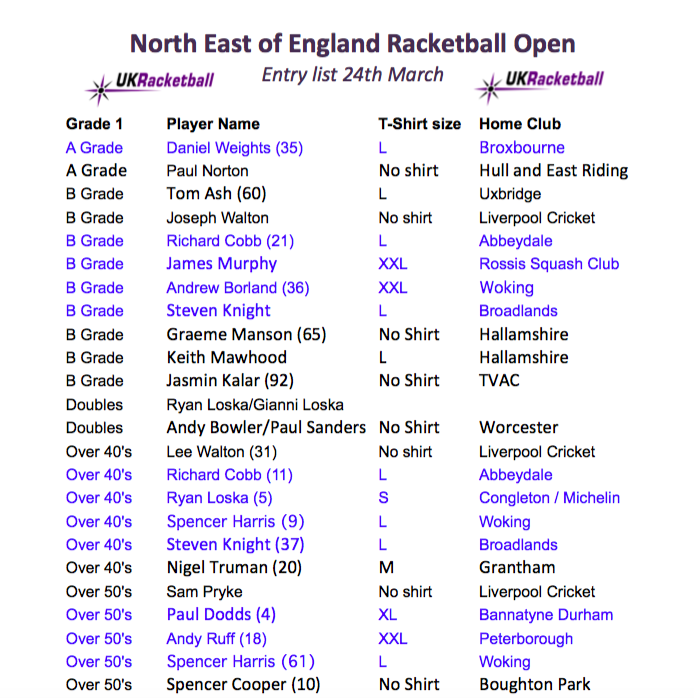 North East of England Racketball Open - Only Six Spaces Left!! 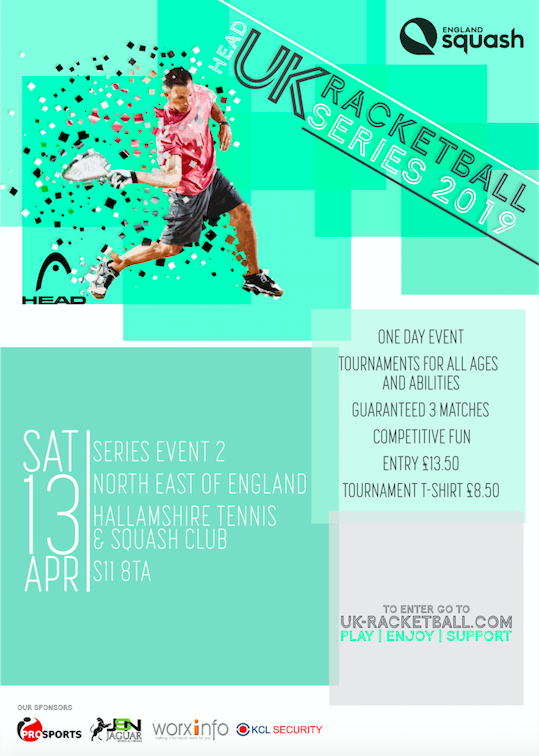 Follow this link to see who has already signed up... ​http://www.uk-racketball.com/e2---north-east-of-england-racketball-open---13th-april.html this is looking like another big event for the UK-Racketball Series! 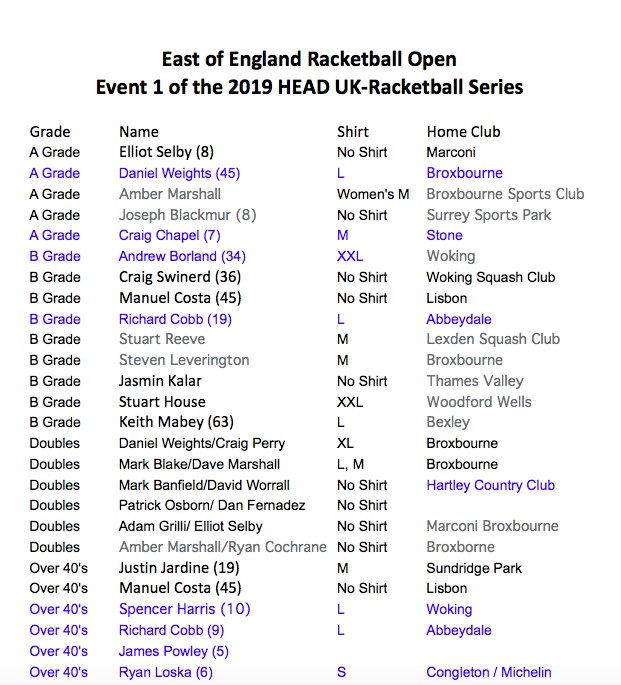 The 2019 HEAD UK-Racketball Series kicks off this Saturday with a sellout at the East of England Racketball Open. England No.4 Billy Jones is seeded one in the A Grade. Jones is looking to start 2019 in the same fashion as he finished 2018 with a tournament win. The A Grade at Broxbourne is looking anything but straight forward however with three other players inside the top 10 taking part. Craig Chapel, Elliot Selby and Joseph Blackmur will all be looking to scupper Jone’s plans. The Over 50’s is once again the largest draw of the day with 20 players taking part. 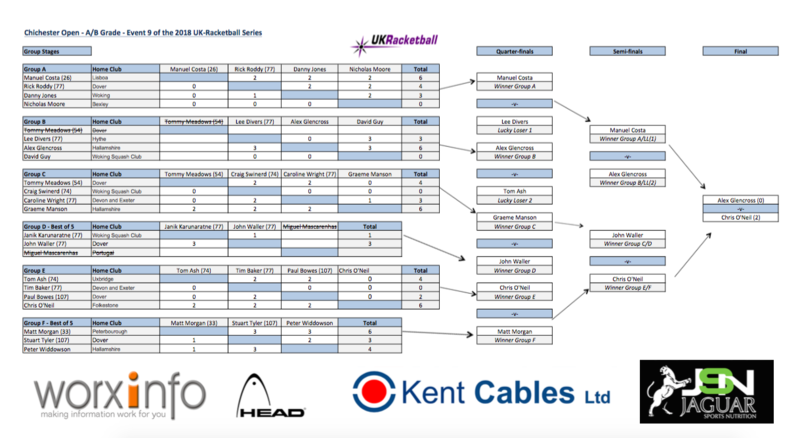 With 6 straight wins needed to come home with the Over 50’s crown the day is set to be a test of endurance as much as skill. A player to watch out for on the day is local favourite and National Doubles runner-up Amber Marshall as she attempts to go for three events, the women’s, A Grade and doubles. 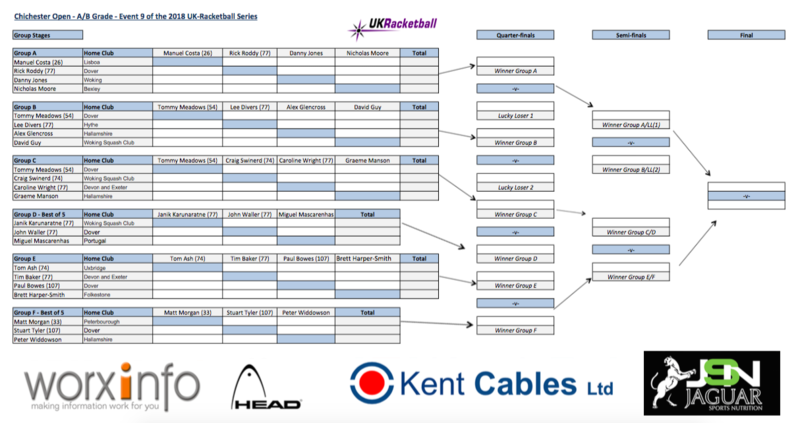 It will be Racketball all day for Marshall but maybe on home turf she can take home a title and hopefully survive the day! 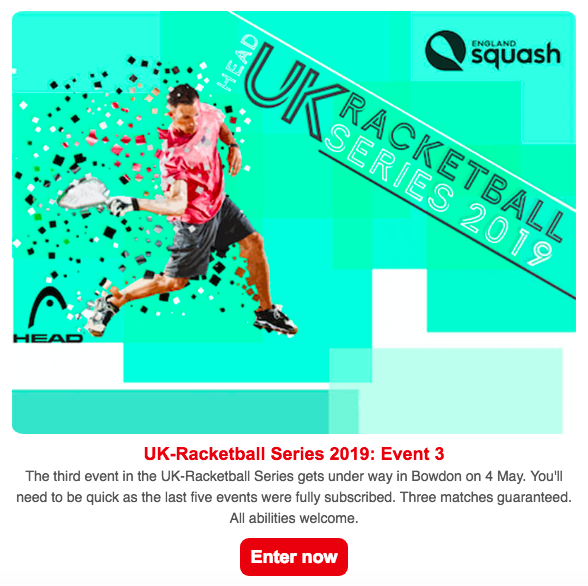 The first event of the UK-Racketball Series starts in less than two weeks! 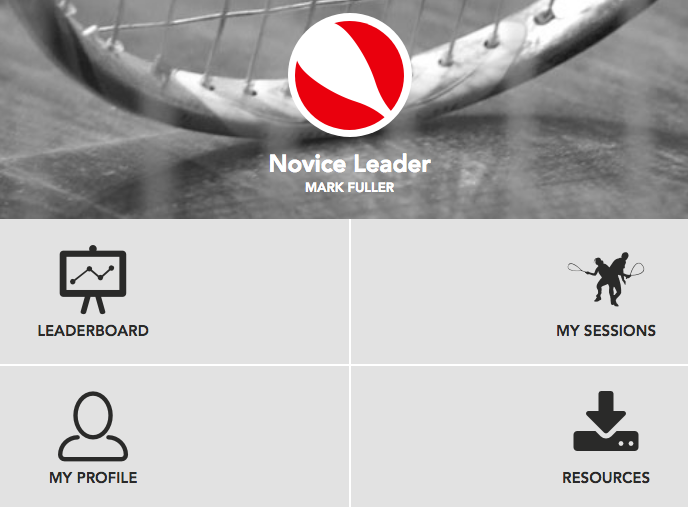 If you run or participate in a Racketball/Squash57 session do you use the England Squash app? 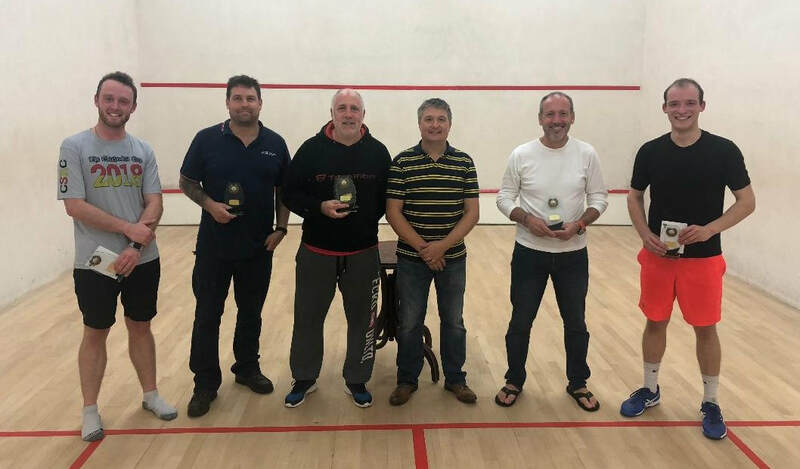 It was a busy, long and great day of Racketball/ Squash57 for the 2018 UK-Racketball Series Finals at Nottingham on Saturday. 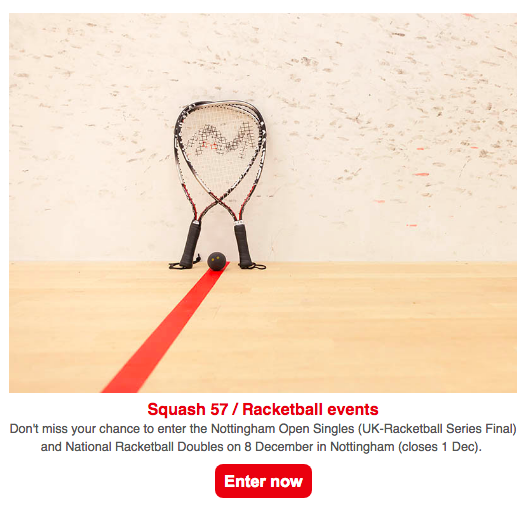 In total 120 competitors took part with 6 grades running in the National Racketball/ Squash57 Doubles and a further 6 events running in the Nottingham Open Singles. Matches started at 9.00 and it was a full 12 hours later that the presentation was being made to the overall Series Champion. 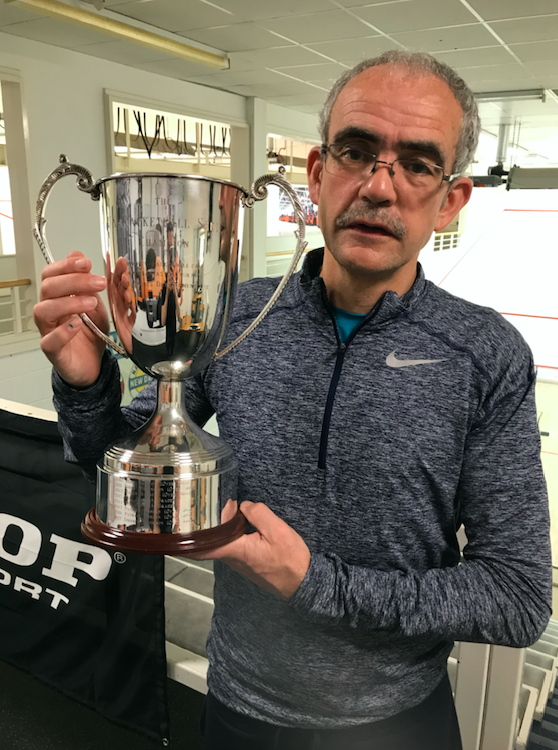 Stephen Widdison finished off 2018 in style with victory in both the Over 60's Singles and Doubles. 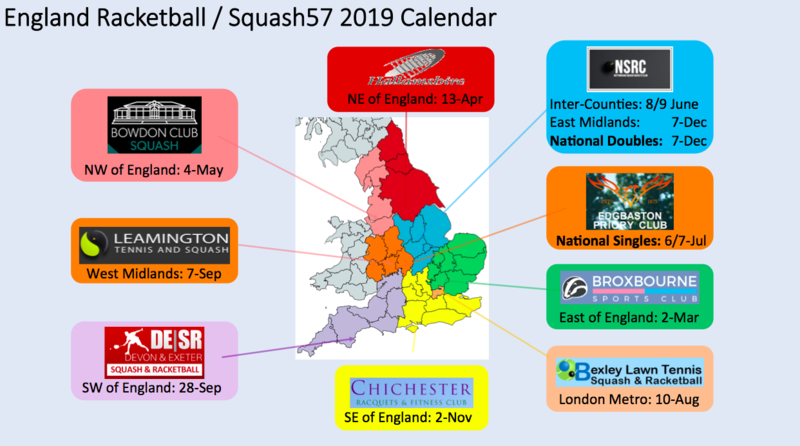 The National Racketball/ Squash57 Doubles will take place alongside a normal UK-Racketball Series singles event. Players are limited to two categories but these can be split across either event. If players don't like doubles they can just participate in the singles. 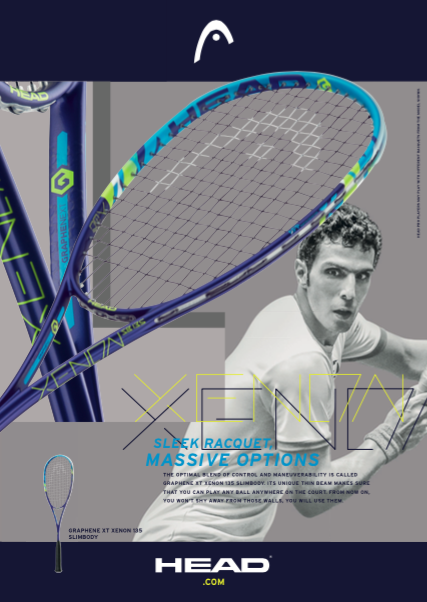 If players fancy trying their hand at a National Doubles title they can focus on this. 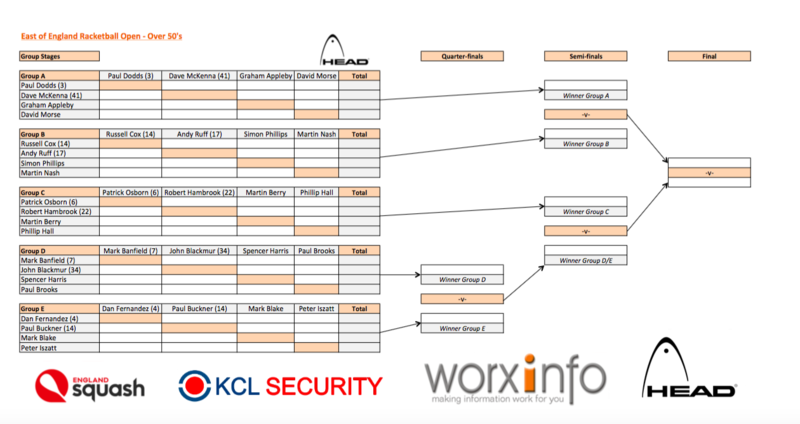 Follow this link to view all of the entries so far! 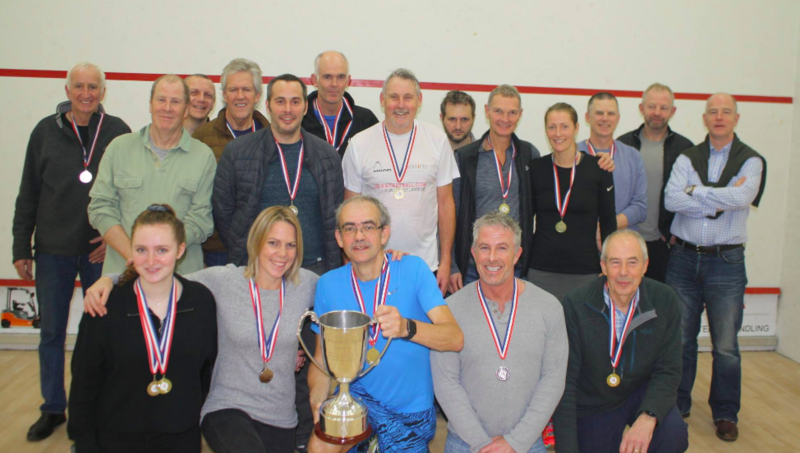 The Surrey S57/Racketball Closed tournament once again returned to Surbiton Racket & Fitness Club with an increased entry on last year to 27 players. 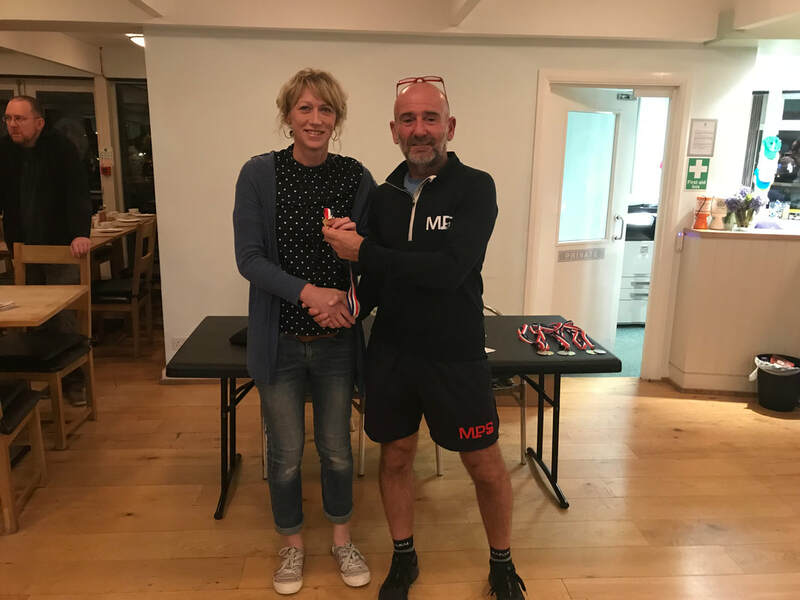 As well the Men’s A Grade, Over 45’s and Over 55’s events we saw the inclusion of a Men’s B event too. All events except the B’s were a Monrad style played best of 3 PAR scoring to 11. Results will be added to the National Rankings on the next update! 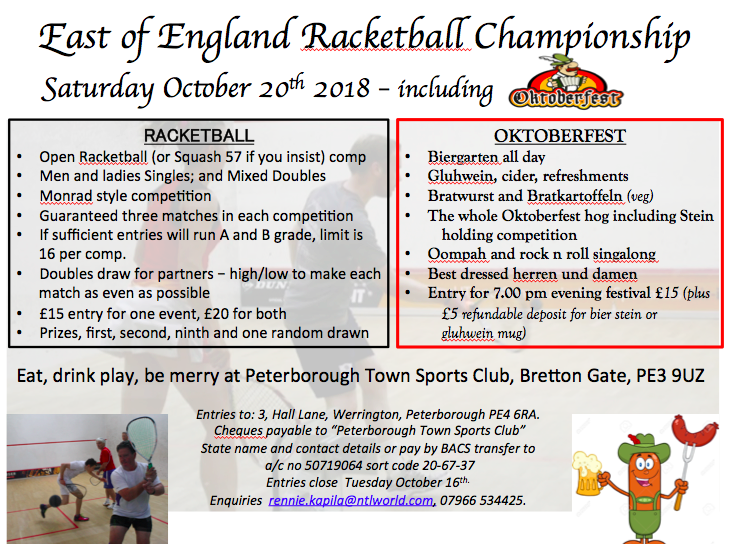 UK-Racketball Series Finals gets a mention on the England Squash November Newsletter! 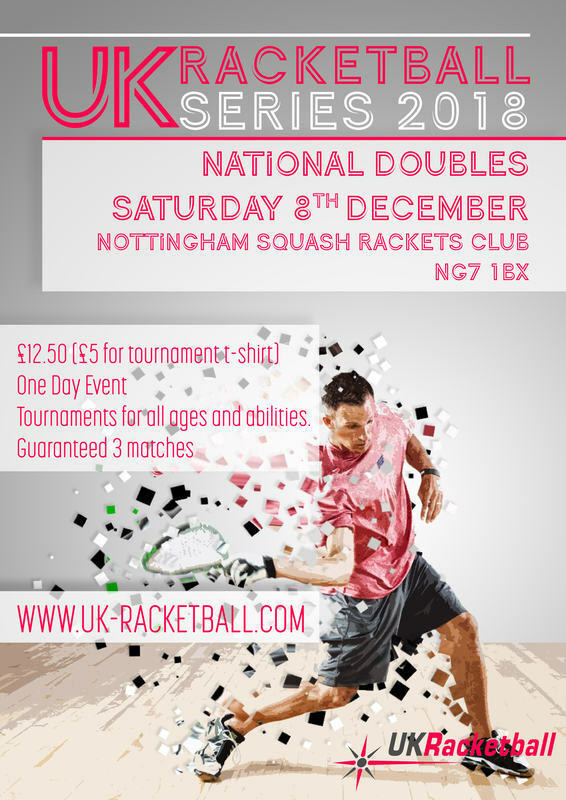 This is the National Racketball/ Squash57 Doubles event that is taking place in Nottingham on the 8th of December. 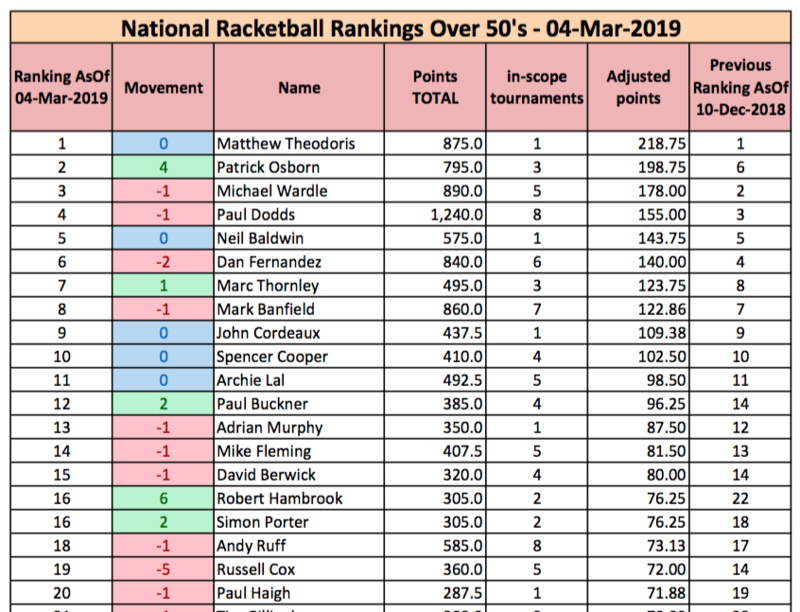 Follow this link to view the full results from Chichester ​http://www.uk-racketball.com/e9---chichester---27th-oct.html - updated rankings coming soon. The main results are in. Full results to follow on the Chichester page as soon as possible.